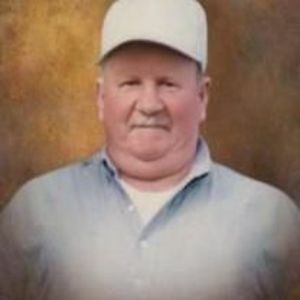 Harold Linwood Olinger, 79, of New Hill, died Saturday, December 23, 2017 at his home in New Hill. Harold was born September 23, 1938 to the late Harper Olinger and Jennie Mae Jones. He was a veteran of the US Navy and was employed with the Railroad and American Airlines. He was preceded in death by his sisters, Frances Peggy Stone and Dolly Mae Brandon; and nephew, Marty Linwood Brandon. Harold is survived by nieces, Cathy Ann Brandon, Linda Sue Darr and Lisa Joan Kelly; nephew, Ricky Carson Brandon; and two great nieces, Sharon Yvonne Darr and Sarah Ann Brandon. A funeral service will be held 2pm Friday, December 29, 2017 at Apex Funeral Home Chapel, 550 W. Williams Street, Apex, NC 27502. Burial will follow the service at New Elam Christian Church Cemetery. The family will receive friends 1-2pm prior to the service at the funeral home. Memorials may be made to the Paralyzed Veteran's of America.